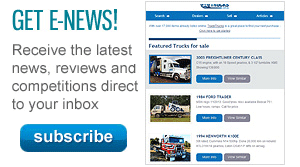 Rick Toseland's 1962 R190 International is a working truck. Tamara Whitsed tagged along when Rick carted water to clients in the thirsty Riverina. 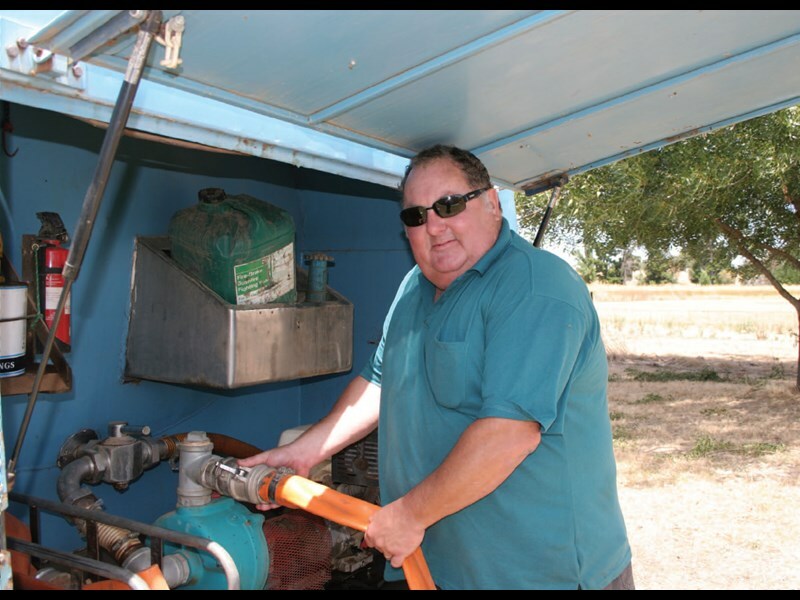 Gerogery, New South Wales, water carrier Rick Toseland has never felt taken for granted by his community, but he knows he is especially appreciated when it is hot and dry. Today, like too many days in the Riverina this January, the mercury is pushing toward the 40C mark. Rick stands in the shade of a tree while he waits for the Gerogery overhead standpipe to fill the 1962 food-grade stainless steel tanker behind his 1962 International R190. It will take close to 40 minutes for the tanker to fill, so there is plenty of time to explain why he is still working a 50-year-old truck. "We built the whole set-up so that it was ideal for carting water," Rick says. Rick and his wife Ypie were living in Gippsland, Victoria, 20 years ago when they bought the R190 from Reeve Haulage at Welshpool. The truck had previously been used to cart stock and milk and to pull a singleaxle tipper. "Terry Reeve told me it had been laid over with the tipper on," Rick says. 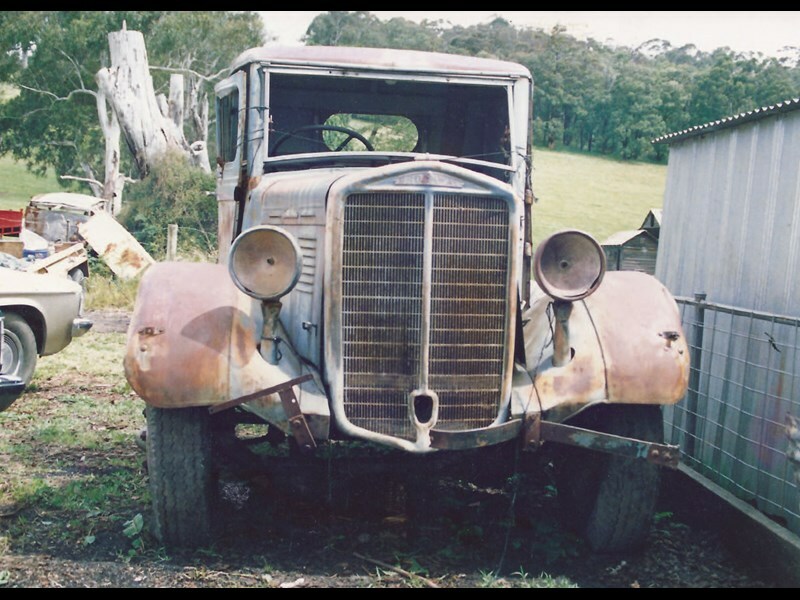 "The cab was full of rust. Not many panels were any good." But the GM motor was quick to start, so Rick confidently began a restoration. "It’s not a show restoration," Rick insists. "It was built to work." Carting water around Gerogery was a great way to make friends in their new town. "It got us into the community," Rick says. Today — 20 years after its restoration — the R190 is still a working truck. Rick was only four when he first took control of a truck. He started a new S160 International in reverse — much to the horror of his father who had stepped out of the truck to talk to a farmer. "I got a really good foot in the diff over it," Rick laughs. "As soon as I could get a semi licence I got one." He has had a long and varied career as a fitter and turner, working in numerous engineering businesses, holding several management positions and travelling throughout Australia and internationally to install and maintain irrigation systems. He also managed to regularly supplement his income with truck driving. 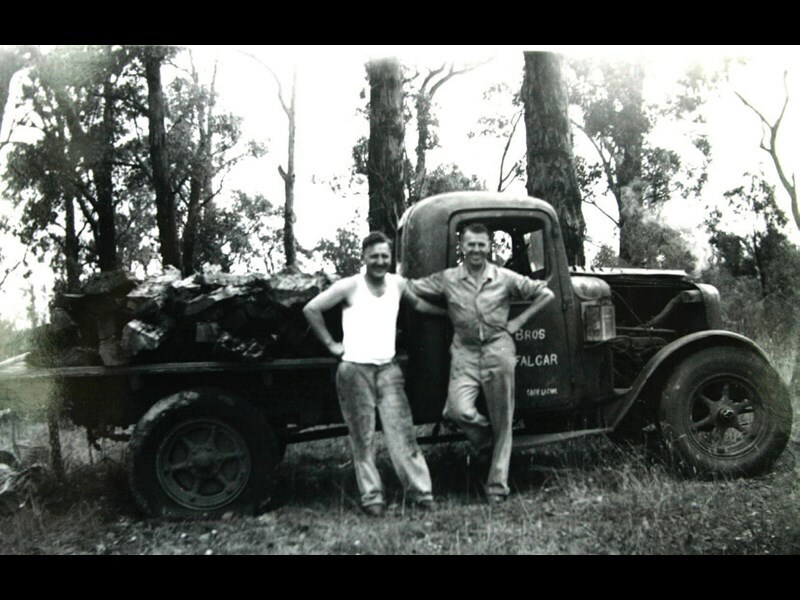 During his years in Gippsland he carted sheep skins and steel and drove tippers. 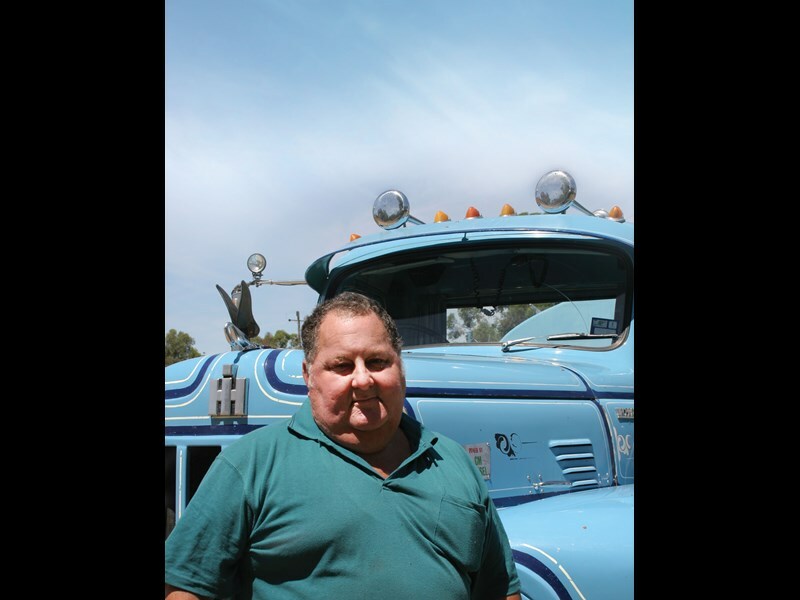 Three years ago Rick restructured his work and he now works solely as a truck driver. When he’s not carting water in the R190 he is usually driving light trucks carrying dairy herd testing equipment for Phil Hawkins and ABS. This work takes him to dairy farms in the Riverina and North East Victoria. 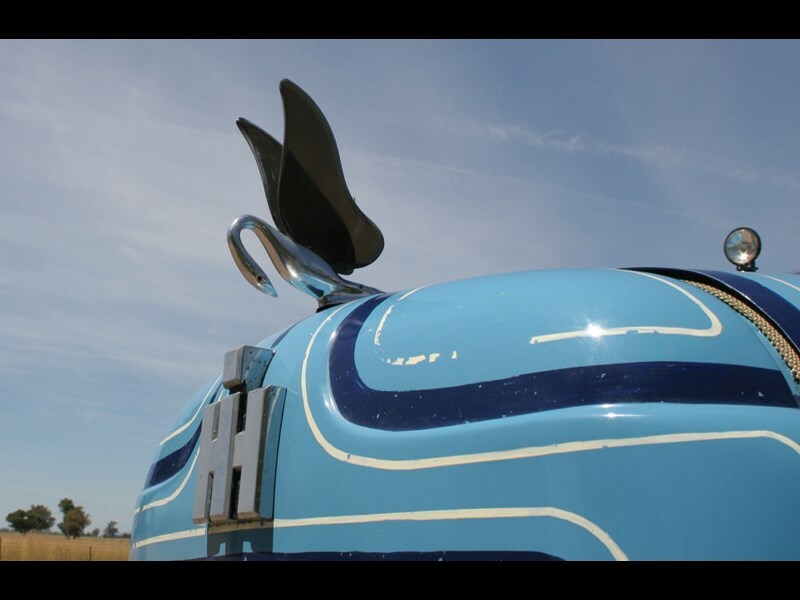 Rick is able to combine his love for trucks and machining by restoring classic trucks in his well-equipped home workshop with help from Ypie and Linda. Ypie is a skilled upholstererand Linda, like her father, is a qualifiedfitter and turner. Even the sandblasting can be carried out in the workshop. A restored 1935 Reo and 1937 Maple Leaf are testaments to their skill, and restoration of a 1942 Brockway is nearing completion. The Brockway was carting a small dozer near Buchan when Rick bought it. "We’ve stripped it right to the ground." It is now mechanically complete and he is working on the body. The Maple Leaf holds the most sentimental value. 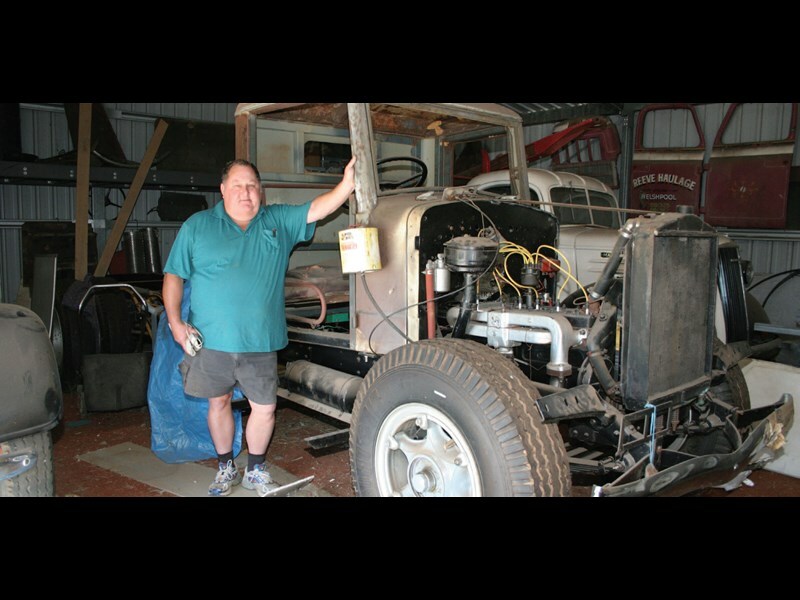 Rick’s father Fred Toseland was in the middle of restoring the truck when he passed away. "So when he died we got all the bits and put them together and painted it in what we thought was the colour he wanted." Rick found and restored a singleaxle McGrath jinker and was proud to take the Maple Leaf to truck shows with Fred’s name on the door. Fred began his career carting logs before he bought his own trucks to cart milk cans. He was well respected around Trafalgar, Gippsland. 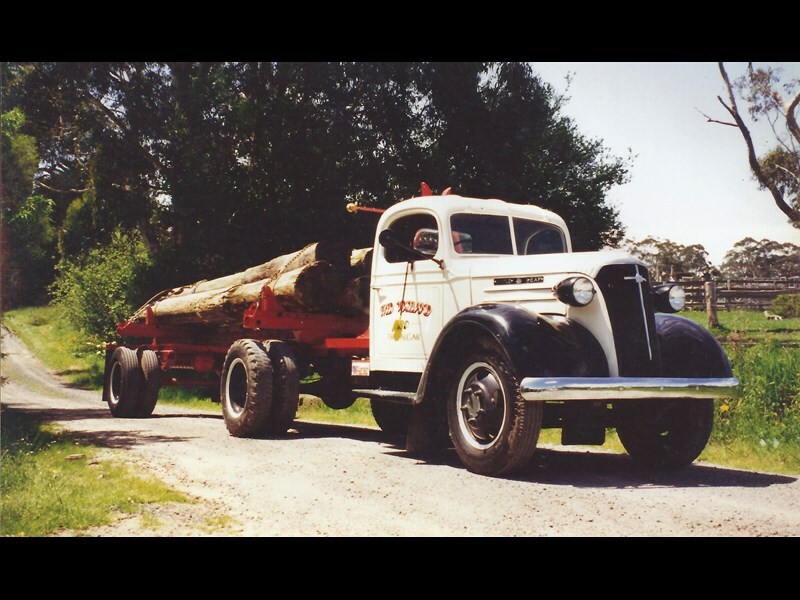 Rick’s early trucking career was also influenced by Gippsland identity, Jim Bury. Following Jim’s advice, Rick aims to undertake a major maintenance project on the R190 each year. "Last year I put new air controls in it. This year we’ve done the trailer axle. I’ve got a diff sitting out the back. I’m going to rebuild that and I’ll put it in next year." So the Gerogery community can rest assured the blue water truck will be a familiar sight and sound for many years to come. Rick is concerned the overhead standpipe pumps so slowly, and hopes Greater Hume Shire will address the problem. Eventually the tanker is full and the R190 is driving back through Gerogery, past the town’s landmarks — the old station master’s house, the hotel and the historic store. The V653 GM is noisy. Rick calls it ‘the bird scarer’. Pedestrians hear the truck before they see it. "It’s well known in the area just because of its colour and its old age," Rick says of the R190. "It attracts a lot of attention and people seem to enjoy us and talk about it when we get to their places." Last year it attracted the attention of film makers working on an ABC telemovie Cliffy which will be shown later this year. Rick agreed to let them use the R190 for one of the scenes. Rick jokes the R190 has a turning circle of ‘five acres’. But he manages to weave it between buildings and trees to reach the large cement water tank behind his client’s home. He unrolls the hose and starts the pump at the back of the tanker. The activity draws three generations of his client’s family to admire the truck. The client’s daughter and granddaughter climb behind the wheel and sound the horn. It is not money that motivates Rick to cart water for his community: "It’s a bit of pleasure and the money that it makes, in all honesty, just goes back into the old trucks". He was proud to be able to help the Gerogery community when fires destroyed four homes late in 2009. 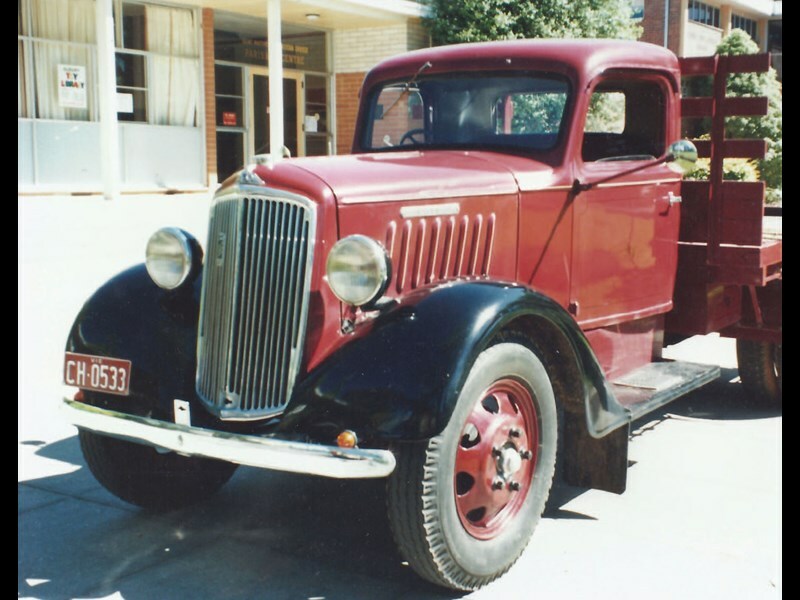 A water shortage presented challenges for fire-fighters, so Rick filled the truck and pumped water into the fire tankers. "People don’t forget those sorts of things. 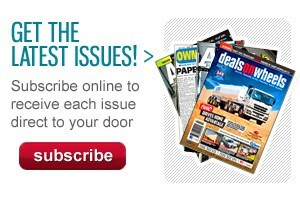 We do a lot of water free of charge for people we think we can help." Rick enjoys the R190 and the Gerogery community so much that he plans to keep carting water when he retires in the distant future. 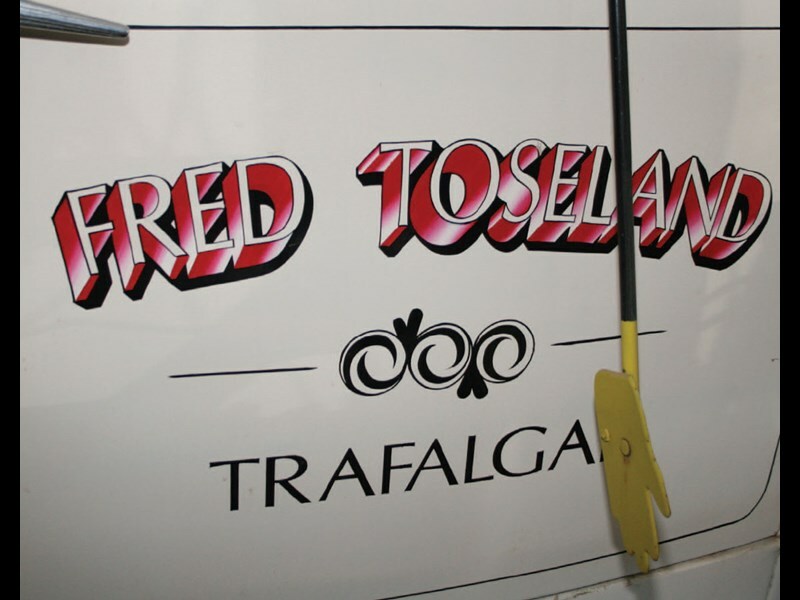 "We love boating and offshore fishing. I want to take Ypie around and see a lot of the places that I’ve worked." 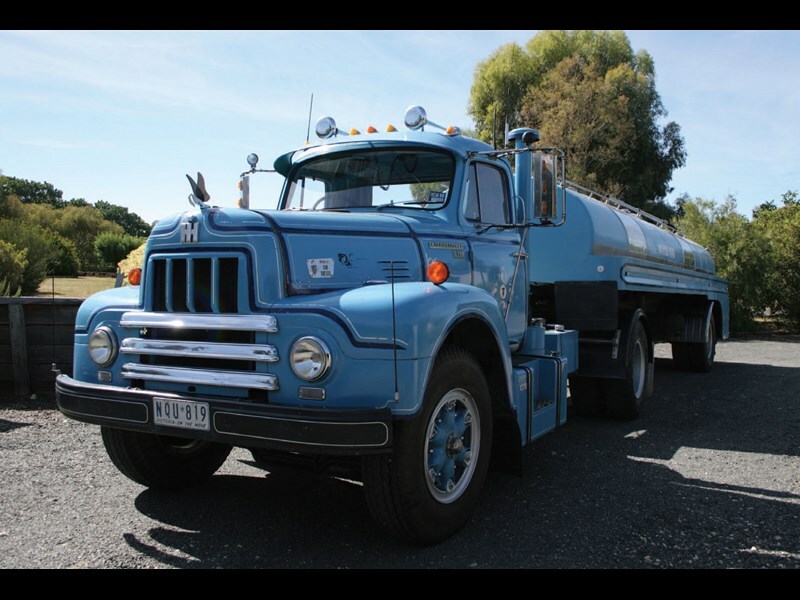 And retirement will give him more time to indulge his passion for classic trucks through his involvement with the Albury-Wodonga branch of the Historic Commercial Vehicle Club of Australia (HCVC). He encourages anyone interested in joining the club to visit www.hcvc.com.au.